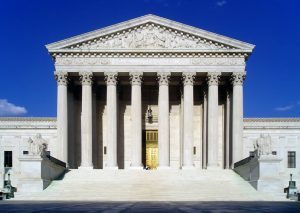 The US Supreme Court has left intact a ruling that requires Conagra Brands and Sherwin-Williams Co. to pay more than $400 million for lead-paint remediation. Sherwin-Williams and units of Conagra had contested the ruling in separate appeals. The companies argued that the state court ruling violated their constitutional rights. The Supreme Court rejected the appeals without comment. Ten California cities and counties launched the lawsuit against the companies for creating a “public nuisance” by promoting lead paint. The complaint accused the companies and their trade associations of promoting lead paint as safe well after learning that it caused irreversible neurological harm, especially in children. Lawyers argued that the companies that sold the lead paint should be required to help pay for removing it. The case went to trial in Santa Clara County in 2013. After a six-week trial, a state court judge in Santa Clara County concluded that the companies had created a public nuisance. The fine was calculated to cover the cost of inspection and abatement in more than a million homes built before 1951. The judgment was upheld by a California appeals court. Greta S. Hansen, a lawyer for Santa Clara County, said, “This is very significant victory for the tens of thousands of California children who have been poisoned by lead paint.” While lead paint was banned in the US in 1978, it remains on the walls of many homes across the nation. Chicago-based food giant Conagra was a defendant in the case due to a series of acquisitions. The company acquired Beatrice Co. in 1990, which had owned paint-maker W. P. Fuller Co. until 1967. The Supreme Court ruling is a big blow to business groups. The success of the suit has spawned a string of similar cases against other industries. More than 80 such lawsuits have been filed in federal court in California and elsewhere over the past 12 months.